It’s 8 p.m. on a Tuesday — time to get some homework done before falling asleep to Netflix. But tonight, I’m not studying in the library or in my home office. 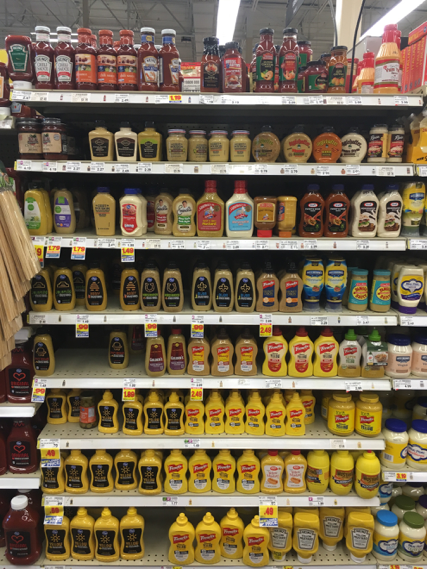 Instead, I’m in aisle two of my local Kroger, staring at the mustard selections. Other customers squeeze their carts around me and nudge me out of the way to grab their groceries, while I diligently record brand, price and volume data of the more than 50 mustard SKUs. My mustard investigation is part of an assignment for Product & Brand Management — an elective course taught by Professor Doug Bowman. Since I work in marketing, I have particularly enjoyed how this course equips me with skills that I can directly apply to my day job. I’ve internalized basic frameworks like the 5Cs and 4Ps to provide structure as I tackle strategic marketing and branding challenges for my company. I’ve explored new data analysis strategies — like cluster analysis and conjoint analysis — to make informed decisions about customer segments. And I’ve delved into case studies to learn best and worst practices from companies who have already launched products, thereby guiding me as I figure out how to best market a new technology. I appreciate how this elective course directly addresses my day-to-day work. However, I’ll confess that what I truly enjoy most about the course is how it has made me a savvier consumer. Through learning the art and science of product and brand management, I have become more empowered in my purchasing decisions. I’ll share a few examples from my daily routine. I wake up in the morning, hop in the shower and reach for my giant, salon-sized bottle of shampoo. In the past, I would have felt pride in this purchasing decision — my Costco-loving parents taught me that buying in bulk leads to big savings. But in this course, I learned about a little phenomenon called the “inventory effect,” which argues that consumer consumption increases when you have more inventory of a product on hand. So, each time I shower, I’m probably using somewhere between 25 and 40 percent more shampoo with my big bottle than I would from a smaller bottle. Someday I’ll calculate the weighted cost to see whether the per-ounce cost savings of my big bottle is still valuable when I account for my increased consumption. What are they really, really selling you? 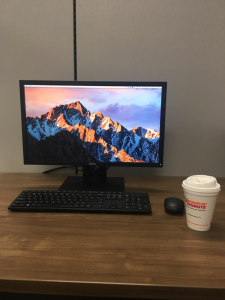 Every morning before work, I stop at Dunkin’ Donuts to get a coffee. Yes, I know it’s cheaper to make coffee at home or use the Keurig at work. But I’m addicted. And thanks to Professor Bowman, I’ve realized that Dunkin’ Donuts isn’t just selling me coffee. Because behind every purchase lies a deeper psychological reason for that purchase. For me, Dunkin’ is selling me reliability. Because my “medium toasted almond hot coffee with cream and sugar” at Dunkin’ always tastes the same, always costs the same, always comes out at a comfortable temperature and always takes less than three minutes to purchase at the drive-thru. That assurance is most certainly worth the $2.11 I dish out for my morning pick-me-up. As I leave work, I stop by the dry cleaner to drop off a skirt and a blouse that I need cleaned. It may sound strange, but every time I have an item that needs to go to the dry cleaner, I get a little annoyed. One reason for this may be the fairness effect — the idea that buyers are sensitive to a product’s price when it is outside of what they perceive as a “fair” or “reasonable” price. In my mind, the fair price to wash an item of clothing is the cost of the laundry detergent and water and electricity that powers my washer and dryer. A rational person would simply recognize that the “fair” price of washing a dry-clean-only item is quite different than a “fair” price of washing a normal item of clothing. But alas, I am only human — making irrational economic choices like most folks. Suffice it to say that Professor Bowman’s Product & Brand Management course has had a lasting impact on my daily decision-making routines. If you’re a Goizueta student considering your future elective options, give this course a shot. Even if you aren’t pursuing marketing roles, you’ll become more aware of the barrage of marketing strategies that you encounter every time you open your phone, turn on your television or walk into a store.